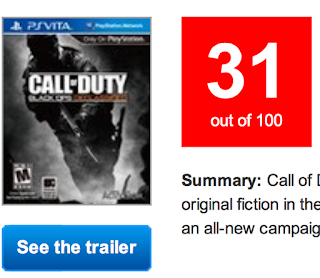 Call of Duty: Black Ops Declassified was met with a huge amount of mixed reviews at launch. But on Metacritic the game has fallen below Spy Hunter with a critic rating of 31/100 which makes it the lowest rated PS Vita game. Declassified is the worst of CoD series. Poor content for single-player and irregular multiplayer netcode. Does it deserve this title? What do you think of Call of Duty PS Vita? Let us know your thoughts in the comments below!